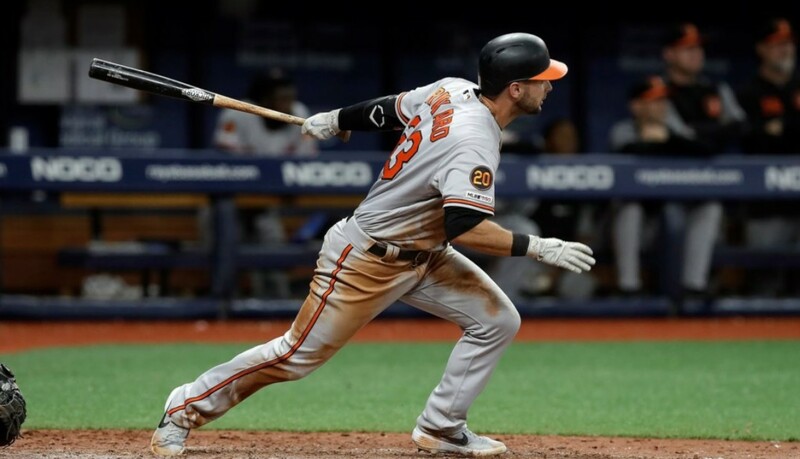 Orioles 4, White Sox 3 : Birds Chirping – Stevie Wilkerson hits his first major league homerun (#1) in just his 53rd career @ bat & John Means pitches 5 effective innings on his 26th Birthday, as the O’s put together their 2nd winning streak of the season. Dwight Smith Jr. scores on a 2-out double by Renato Nunez, who then scores on a single by Rio Ruiz in the 1st & Hanser Alberto adds a sacfly in the 2nd. Wilkerson homers in the 4th to add a much needed insurance run against Sox starter Ervin Santana. Mychal Givens works the final 2 innings to close it out for his first save, despite giving up a run in the 9th on a double by Jose Abreu, who drives in 2 on the night. Baltimore moves to 3-10 @ home & wins the series. They now have the day off as they head to Minnesota for a 3 game series over the weekend. Orioles 9, White Sox 1 : Over Powering – The Orioles homer 4 times off of White Sox starter Ivan Nova as they blow out the White Sox to snap a 4 game losing streak. Chris Davis (#2 ), Renato Nunez (#6), Dwight Smith Jr. (#5) & Joey Rickard (#2) all homer for the O’s. Davis drives has 2 hits, while also clubbing his first HR @ home this season & Andrew Cashner tosses 7 innings to pick up the win. The Orioles pitching staff doesn’t allow a HR for only the second time this season, using the longball to their advantage instead. Nova is winless in 5 starts this season & has allowed atleast 11 hits each of his last 2 outings. Baltimore wins for just the 2nd time in 12 games @ home. Game 3 is tonight, as the O’s look to win the series. 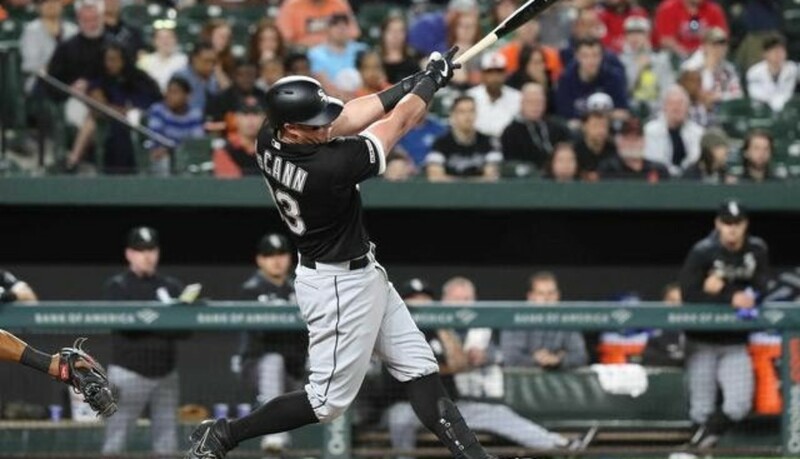 White Sox 12, Orioles 2 : Tag Team – Jose Abreu homers & drives in 5 runs & James McCann homers & drives in 4 as the White Sox blow out the Orioles @ Camden Yards. 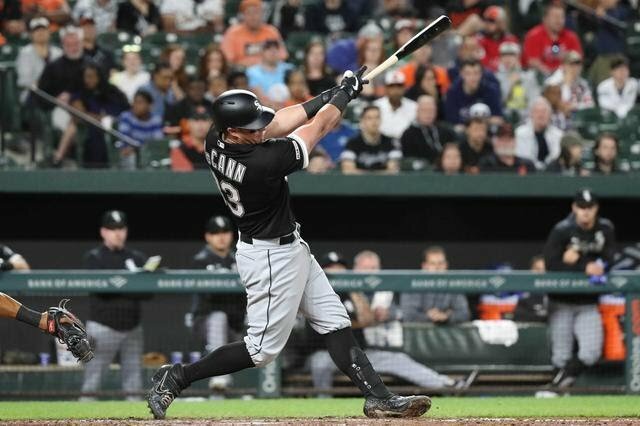 McCann hits a 3-run shot (#2) to break a scoreless tie against O’s starter David Hess in the 5th & adds an RBI single in the 7th. Abreu adds an RBI single in the 5th, then hits a 3-run blast (#4) in the 7th & adds another run scoring single in the 8th. Pedro Severino homers (#3) in the 9th for the O’s but this game was well out of reach. Manny Banuelos pitches 4 shutout innings, despite allowing 5 hits & the White Sox bullpen does the rest. Orioles C Jesus Sucre pitches a 1-2-3 9th in a mop up role. Baltimore has now lost 4 in a row & falls to 1-10 @ home this season. 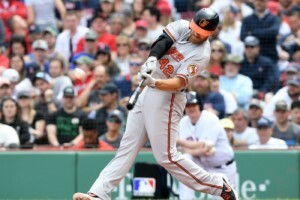 Game 2 is tonight as the O’s look to right the ship. 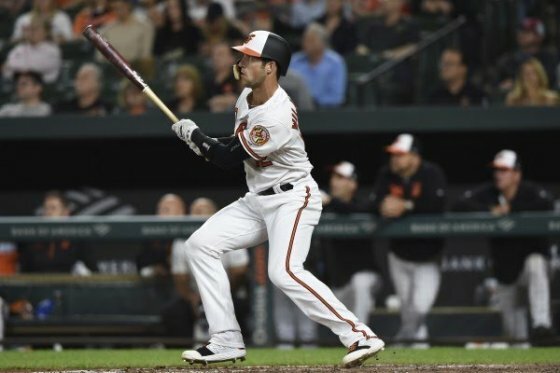 Twins 4, Orioles 3 : Sweeping Up – Kyle Gibson pitches 6 strong innings to earn his first win of the season & Willians Astudillo drives in 2 runs as the Twins jump ahead early, but have to hold off a late rally by the O’s complete the 3 game sweep @ Camden Yards. 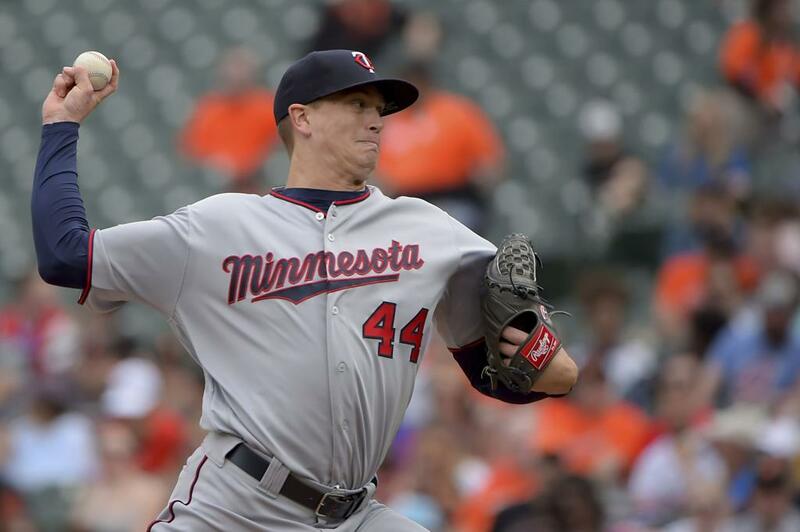 Dylan Bundy allows only 2 earned runs in 7 innings but takes the loss & remains winless. C.J. Cron & Jake Cave both add RBI singles for the Twins & Dwight Smith Jr. drives in 2 for the O’s. 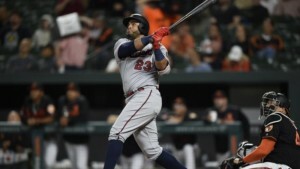 The Twins had homered 11 times in the first 2 games but win this one despite not going deep. 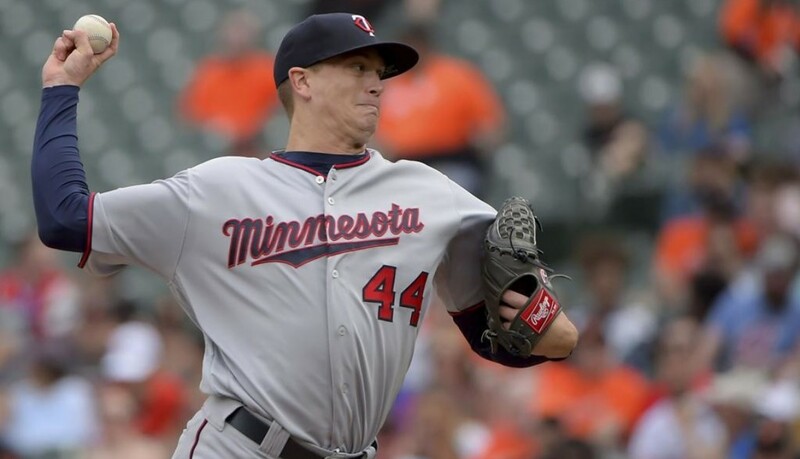 Baltimore has now lost 9 in a row against Minnesota, they will now host the Chicago White Sox tonight. Twins 16, Orioles 7 (Game 2) : Twin Killing – Eddie Rosario homers again & makes team history, becoming the first player in team history to homer 9 times in the teams first 18 games as the Twins sweep the doubleheader @ Camden Yards. Rosario (#9) C.J. 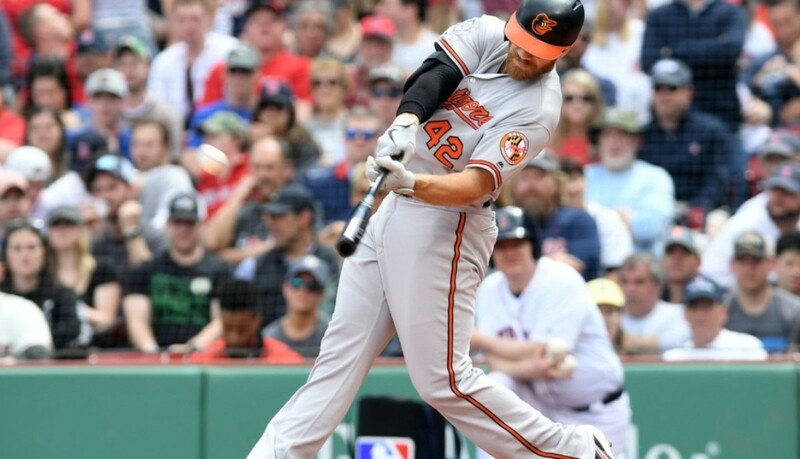 Cron (#3) go deep once & former Oriole’s Nelson Cruz (#2 & #3) Jonathan Schoop (#3 & #4) each homer twice, as does Mitch Garver (#4 & #5) to add to the 8 HR onslaught. Schoop’s 2nd HR in the 9th comes off of former teammate Chris Davis who was pitching in a mop up role for the O’s. 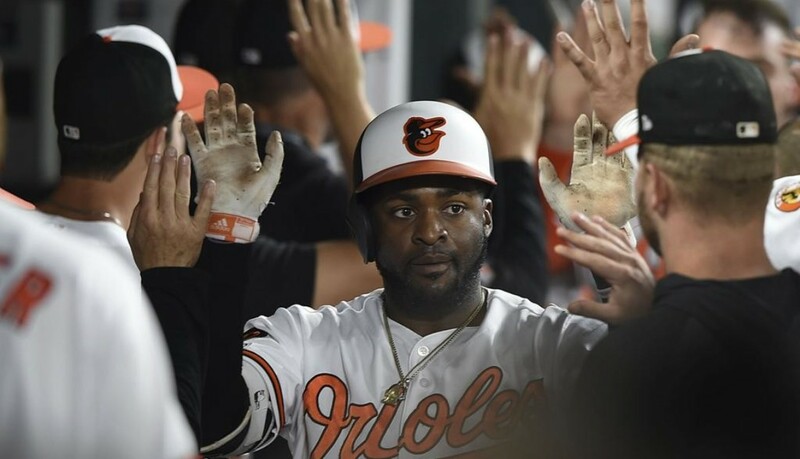 Renato Nunez homers twice (#4 & #5) for the O’s & Hanser Alberto (#1) homer for the O’s. Nunez homers 3 times total in the doubleheader. Baltimore will look to avoid the sweep this afternoon. 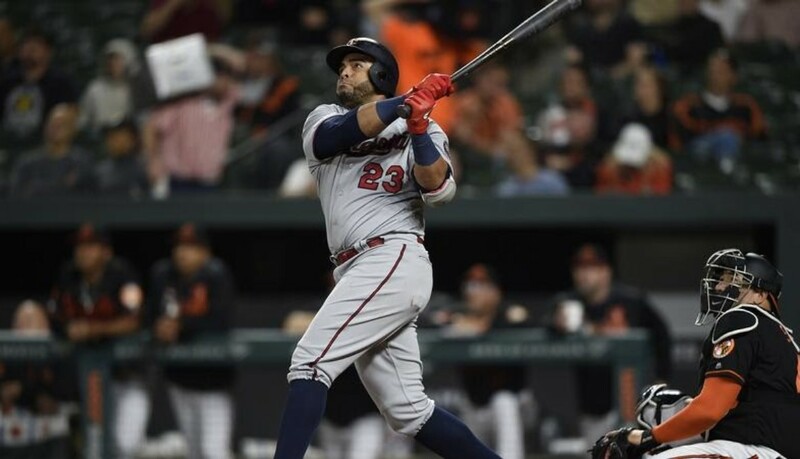 Twins 6, Orioles 5 (Game 1) : Doubling Up – Eddie Rosario homers twice for the 2nd game in a row & Jose Berrios pitches 6 solid innings as the Twins take game 1 of the doubleheader @ Camden Yards. Rosario hits solo homers in the 2nd (#7) & 5th (#8) off of Orioles starter Dan Straily & Willians Astudillo adds one in the 2nd (#2). 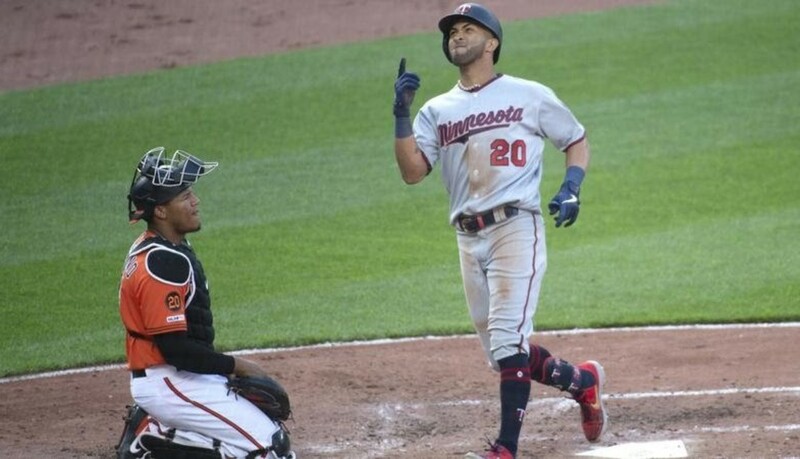 Byron Buxton drills a tiebreaking 2-run double & scores on a single by Nelson Cruz in the 6th to add some needed insurance for the Twins. 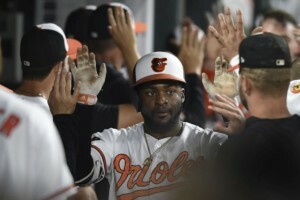 Both teams homer 3 times as Dwight Smith Jr. (#4) & Renato Nunez (#3) go back to back in the 3rd & Pedro Severino (#2) adds a solo shot in the 8th to cut the lead to 1 but the O’s cannot get any closer. Baltimore has now lost 7 in a row against Minnesota, game 2 would follow. 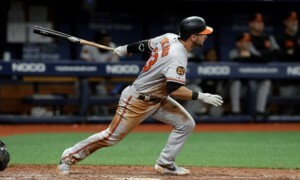 Orioles 6, Rays 5 (11 innings) : Extras On It – Joey Rickard has 4 hits & reaches base 5 times against his former team, including doubling home the go ahead run in the 11th after the Rays rally it w/ 2 in the 8th & tie it in the 9th on a HR by Avisail Garcia (#3) off of closer Mychal Givens. Rickard drives in 2 on the night, Rio Ruiz has 2 hits & Chris Davis singles as pinch hitter & scores on Rickard’s double in the 11th. Pedro Severino homers (#1) as well for the O’s. 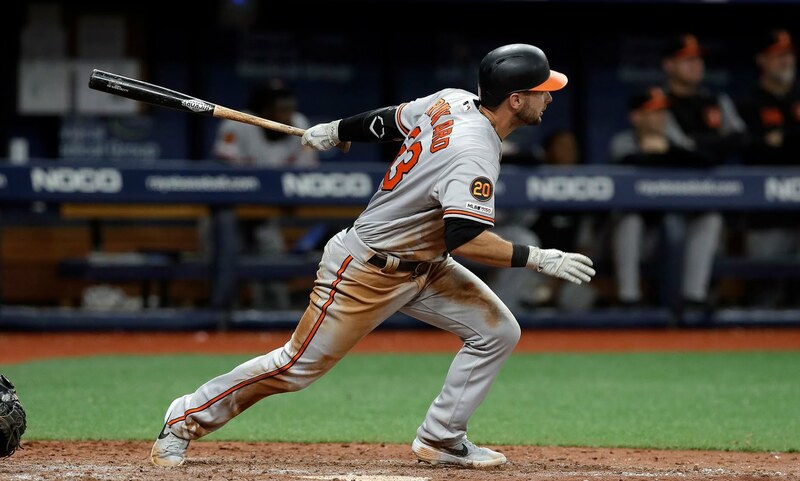 Tommy Pham homers (#3) off of Orioles starter Andrew Cashner in the 3rd for Tampa Bay, who loses for only the 2nd time in 10 games. Baltimore avoids the sweep, will now head home to host Minnesota, but tonight’s game was rained out & will be made up as part of a doubleheader tommorow. 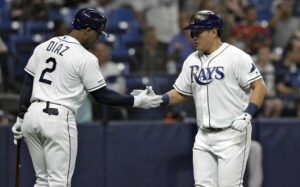 Rays 8, Orioles 1 : Three Different Rays – Brandon Lowe, Ji-Man Choi & Yandy Diaz all homer for Tampa Bay as the Rays use the longball to beat the Orioles @ home for the second straight game. Lowe hits a 3-run shot (#5) in the 1st, Choi (#1) & Diaz (#2) hit back to back homers off of Orioles starter David Hess in the 3rd as The Rays blow it open early & never look back. 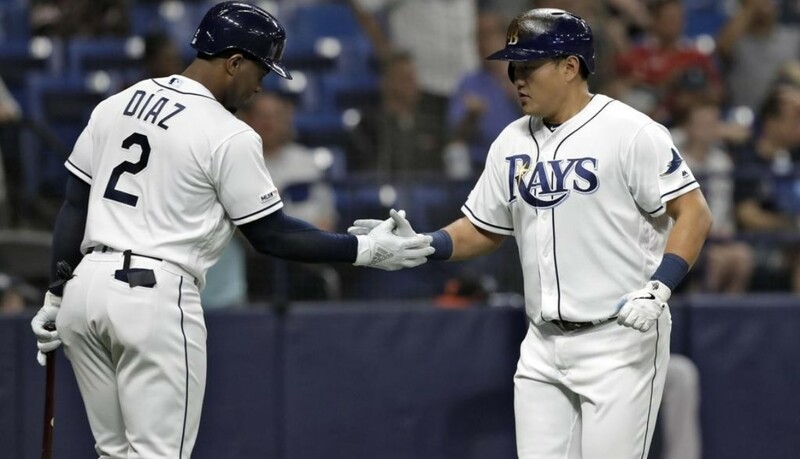 Choi reaches base 4 consecutive times on 2 hits & 2 walks, he scores 3 times. 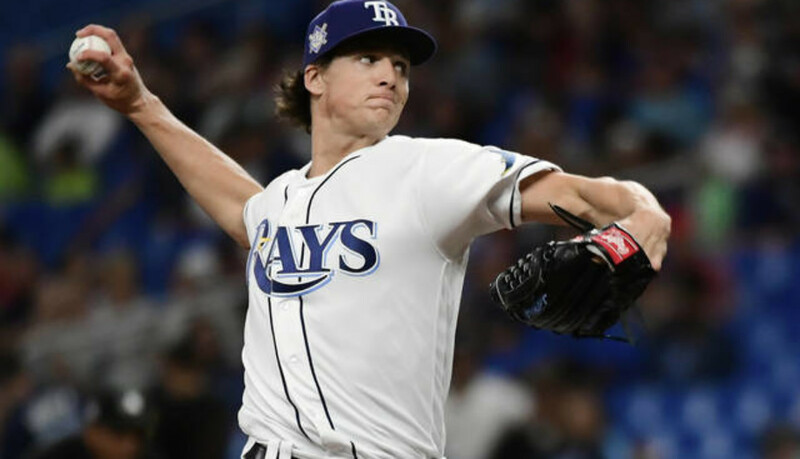 Yonny Chirinos allows just 1 hit in 5 scoreless innings & strikes out 6 of the first 7 batters he faces to pick up his 3rd win as the Rays bullpen allows just 2 hits in 8 innings of work. 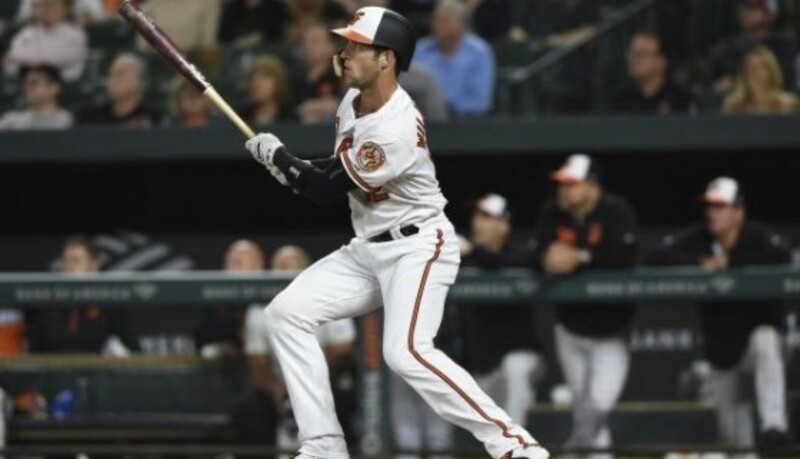 Rio Ruiz homers (#2) for the O’s in the loss. 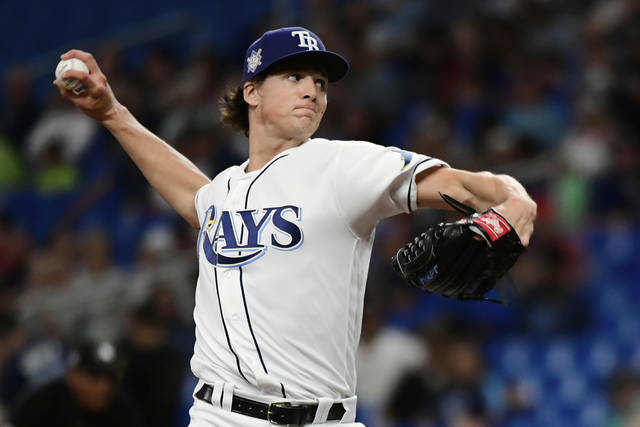 Tampa Bay has now won 8 out of 9. Baltimore has now lost 7 of 9 & will look to avoid the sweep tonight. Rays 4, Orioles 2 : Tropical Storm – Tyler Glasnow pitches 7 strong innings to win his 4th start in a row & remain undefeated on the season as the Rays beat the O’s @ home. Rio Ruiz singles home a run in the 1st to end Glasnow’s scoreless innings streak @ 16 & Renato Nunez doubles in another against Glasnow in the 3rd. Avisail Garcia homers (#2) & drives in 3 runs for Tampa Bay, in a 3-run 4th against O’s starter Dylan Bundy. Diego Castillo closes it out in the 9th. Baltimore has now lost 7 of 10 since starting the season 4-1 & has allowed a HR in 17 of 18 games this season. Tampa Bay has won 13 of 17 to start the season. Game 2 is tonight from the Trop.